SnapCacklePop: Nathaniel wants to be always YOURS..! Nathaniel wants to be always YOURS..! 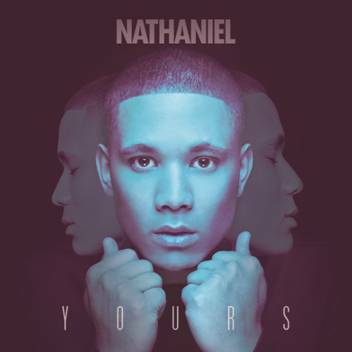 After releasing so many singles its great news that NATHANIEL has announced his long awaited debut album YOURS, which will boast a collection of 10 songs including his previously released four hit singles. Written and produced around the globe in America, Europe and Australia, Nathaniel’s debut album is a guaranteed celebration of soul, funk, R&B and pop, fine-tuned for audience satisfaction and artist longevity. Delivering a fresh take on a timeless sound and reinforcing his talent and artistry, YOURS depicts Nathaniel’s musical versatility at its optimum. The album features input from the likes of US musician/producer David Ryan Harris, Swedish producers Arnthor & Lukipop, Louis Schoorl, and Stylez Fuego, with the bulk of material overseen and created by renowned local song-writers and producers Anthony Egizii and David Musumeci from DNA Songs alongside Nathaniel. As David Musumeci explains, "From the moment we signed Nathaniel we knew we wanted to make a record with great emotional depth that would take you on a rollercoaster ride of emotions as you run through it, and we think we've achieved that with YOURS. Nathaniel is a true talent and we hope the people enjoy listening to this album as much as we loved making it." On YOURS, Nathaniel demonstrates his ability to express himself more completely then previously, by varying the mood of the music from familiar up-tempo-pop territory, to more emotional reflections. In addition to the 10 track Standard Edition of YOURS, Nathaniel will also release a 15 track Deluxe Edition exclusively through Sanity retailers nationally. To celebrate this announcement, Nathaniel has released an incredible ballad titled Always Be Yours. A single, which draws on intense emotions of love and inspiration, explains Nathaniel “I wrote Always Be Yours with Anthony Egizii and David Musumeci of DNA Songs, and at the time I was planning on getting married so I wanted to write something very special for my wedding day. Between the three of us the song’s meaning came from different perspectives, but ultimately it’s about the purity of love. This song is so much more than just another love song from a guy to a girl, it’s about finding someone who loves you unconditionally and who helps you to be a better person. If you pre-order YOURS now on iTunes will receive Always Be Yours instantly..!